"Donabe" means clay pot in Japanese and it is one of Japan's oldest cooking vessels. Earthenware pots are made out of clay with properties ideal for operating at high temperatures during high heat cooking. It builts up heat slowly (similar to a slow-cooker, may take a longer time to initially heat up) but it keeps heat effective once it is at peak temperature. Measures approximately 10" Diameter and 6" Height. Pot holds a capacity of 72fl oz. Perfect for serving 3-4 people. Perfect for gift giving for any occasion, especially house warming gift. 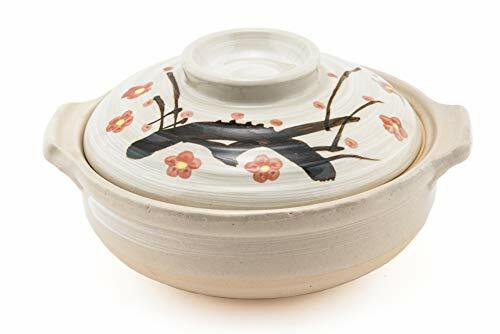 Donabe eating encourages families to sit around the table and pick items directly from the pot, thus the term "one pot harmony"
If you have any questions about this product by Hinomaru Collection, contact us by completing and submitting the form below. If you are looking for a specif part number, please include it with your message.